Well the 4.0 v6 is the most powerful engine option available from the factory. No other larger engine swap is going to be cheap, so you're stuck with that. If you only want a little bit more power try just rebuilding the 4 liter engine that you have now.. Because any Engine with that many miles on it I'm sure has lost power over the years from how it was being brand new. After that you could try small add-ons. Maybe before you do the rebuild you can contact Knights turbos down in Florida, and see about rebuilding it to Specs for use with a turbo or supercharger attached to it. That would definitely give you a lot more power. However again that's still not going to be cheap. I think the cheapest option would be to find a low mileage 4 L that has less than let's say 70 or 80 thousand miles on it and you could swap that right into your truck for just a little bit more power. Along with cold air intake , larger free-flowing exhaust and headers, I think you'll notice a difference. Last edited by Danny74; 05-22-2018 at 05:04 PM. At stock 207Hp 5250rpms, 238ft lbs Tq 3000rpms, what are you wanting? I'm curious as to whats "MOARRR POWER" ...? What are you using it for? How much faster do you need to get to the next red light and wait? TQ is what gets you down the street, and HP is how far down the street it will take you. Cold air intake, WASTE of money unless you're planning 3 digit speeds majority of the time (?) K&N style OIL/DRY Cotton filter in the OEM box would be your best overall; even without the infamous joke of an Airbox mod everyone does. Why you'd swap making ait more noise from the engine bay in exchange for a "cooler" source of airflow; rather sucking up hot under hood air from a vehicle already known to run hotter than some others anyway behooves me as to what logical source was used? Not to mention without being "tuned" in the sense of manipulating the A/F ratio, timing, spark advance or retardation you'll likely cost your self more HP loss than gain. And unless the average Joe Schmoe Ranger owners can show me full video and data witnessed 3rd gear dyno pulls showing contrary, You wont be seeing anywhere near 9-20hp increases. Headers, and type would increase some flow and benefit where the power band moves. An exhaust certainly would uncork it as well with the added airflow of whatever NON OEM paper air filter was used but lets face facts. EVEN a fresh engine and the majority of bolt on performance parts, if you used all the right ones and on a perfect day all things considered you netted 22-37hp which I'm being conservative but hopeful.. I'd be a bit surprised if you saw better than or close to the top end of that without the addition of forced induction. I havent even elaborated on the time or cost values yet. Comparison wise, 2015 Toyota Taco's are at 236hp/5200rpms and 266tq/4000 rpms. 2014 Nissan Frontiers are 261hp 5600 rpm and 281ft lbs tq 4000. All the hp ratings are at or near 5350RPMs and your truck has better Tq down low than the other two popular trucks. So again, I ask what are you wanting? Cause to me, no offense but it sounds to me like you're in the wrong vehicle altogether. Not saying that there isnt room for some improvement in ANYthing but putting facts on the table, don't let the numbers fool you. All the trucks at specific tasks or speeds are not really even seconds apart in 0-60 or 1/4 mile times. What kind of 1/4 mile ETs do you want to run? 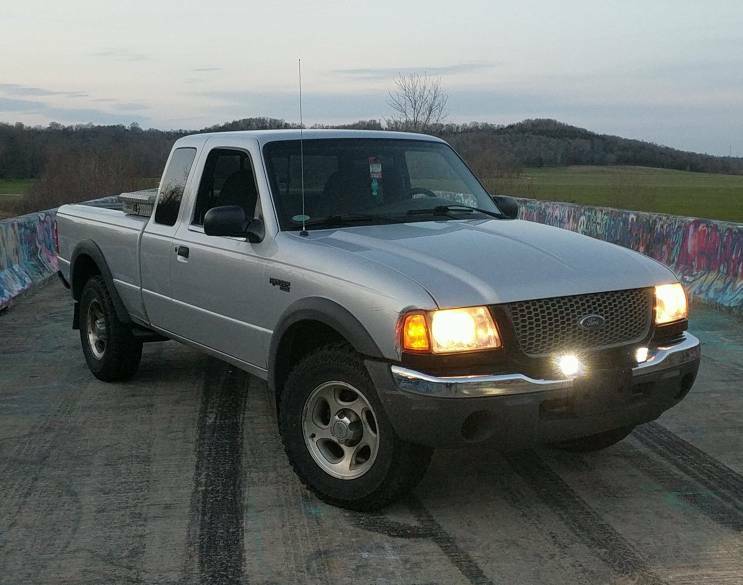 For me, if I had 20k or so, to spend on improving my 93 ranger. I would have somone drop in a cummins R2.8 re-power kit. In all reality though, I'm just still thinking of economical ways that I could improve the towing capability of my vehicle. I would love to be able to buy myself a small RV trailer, so I can take more affordable mini vacations. Also I would love to get a car trailer so I could tow my classic car, or my fathers, with my Ranger to shows. So far all I've done was and the transmission cooler, and I've started to look into aluminum trailers. As for campers, I discovered that the small vintage ones are lighter than the more modern ones of roughly the same size. I'm still doing my research, I haven't committed to anything yet, unless I come across a screaming great deal. But otherwise, it's been my ideal vehicle and has been sufficient for all my needs so far. I wonder what the OP ended up doing with his Ranger? I'd be surprised if they switch the engines now befor the old one died. Last edited by Danny74; 07-03-2018 at 02:02 PM. Problem is the Cummins 2.8R is ONLY made for the JEEP at this point.. Looked into it already with my connections there.. Was sadly disappointed in hearing with as much hype as they made about that damn thing and the only thing they had plans for was a damn JEEP.. Talk about short sighted marketing and over hyping a product only to undeliver even less.. I thought all the dreamers were living off the US taxpayers. No.....no, no,No. The Cummins 2.8R is NOT ONLY made for the JEEP . I'm sorry that you were led to believe otherwise. There are many people that have ALREADY put them in a variety of different types of vehicles. If you mean to say professional instalation shops that will install the Cummins 2.8R engine, then YES, I too have only found shops that will only do it for the jeep wrangler.